Robert Laureno, MD, FAAN, FANA, is Chairman of the Department of Neurology at MedStar Washington Hospital Center and Professor of Neurology at Georgetown University School of Medicine. Dr. Laureno is a highly experienced clinician, teacher, and researcher with more than 30 years of practice in the field of neurology. As a board-certified general neurologist, Dr. Laureno treats all disorders affecting the brain, nerves, and spinal cord. His clinical and research interest revolves around metabolic disease of the nervous system. Dr. Laureno received his medical degree from Cornell University Medical College. He then completed internship training in internal medicine at Emory University’s Grady Memorial Hospital. Following this, Dr. Laureno joined a three-year fellowship program in neurology and neuropathology with Case Western Reserve University Cleveland Metropolitan General Hospital. 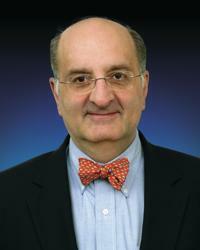 As an active participant in the continuing education of his field, Dr. Laureno has presented numerous seminars and lectures across the nation and has authored nearly 90 publications, including peer-reviewed journals, book chapters, correspondence articles, research abstracts, and two books on neurology published by Oxford University Press.